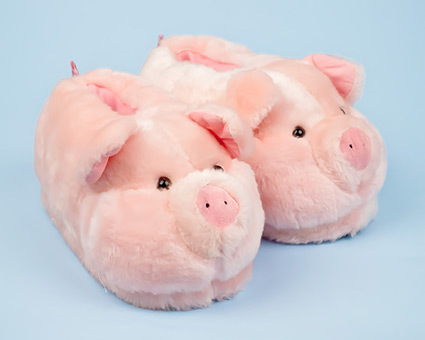 You'll squeal with delight when you slip on our Pink Pig animal slippers! Made with super soft polyester plush, one-inch high density foam footbeds, and non-slip grips on soles. 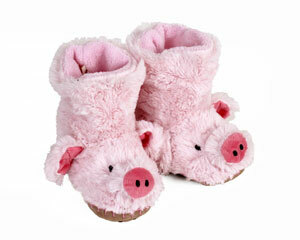 The full-foot design will keep your little piggies warm and toasty. 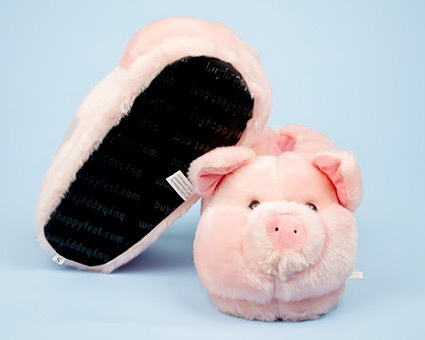 The Pink Pig animal slippers come in five sizes, ensuring a comfortable fit for everybody in the pig pen. Love love love these slippers! Advantages: Soft warm an cozy. Very cute! Disadvantages: The opening to slide you foot in is a little tight but not too bad. My 12 year old daughter was thrilled with the pig slippers her sister got her for Christmas. Walked around with them on all day. One of the seams came apart so I sent an email with a photo back to customer service and received new slippers within 3 days. Highly recommend this company. Advantages: Great looking animal slippers. I got these slippers for my daughter and they were a big hit she loved them! They are so adorable and the delivery was super quick! I will definitely recommend this site to others and order again. Thank you. Package arrived in good condition. Very cute and great quality. My granddaughter 8 year old granddaughter loves how comfortable they are. Have been buying and wearing them for the past 10 years! Advantages: Comfy, warm, cozy & lovable!!! Disadvantages: Don't last forever, but then what slippers last you for 10 years!!! They’re comfy but don’t look at all like the picture!!! I would’ve gotten a different animal if I knew they were going to be kind of creepy. Disadvantages: They’re kind of creepy and don’t look like the picture. 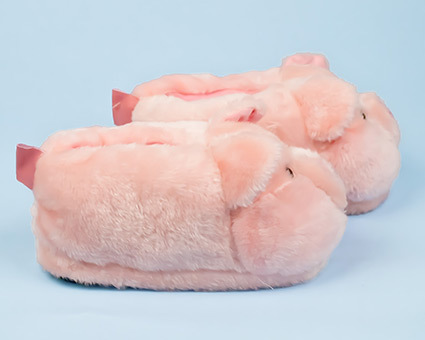 The pink pig slippers are amazing! My 5 year old daughter absolutely loves them. They are super soft and super comfortable. I was surprised to see the quality of the memory foam soles. We’ve been looking for quality, fun slippers for my girls for a while, and we are so happy we found these slippers. I highly recommend them for anyone of any age. Great slippers. Girlfriend loved them. She says there very comfortable.